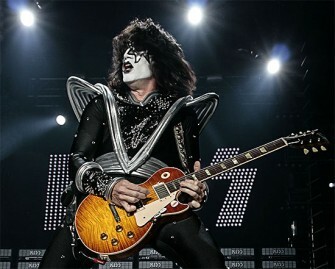 If you’re attending the NAMM Show in California this week, don’t forget that the wonderful Tommy Thayer from Kiss will be joining us for an exclusive signing session! Just head over to our Booth (Hall A, #6555) from 3pm on Saturday the 24th to meet Tommy and have your picture taken with him. And while you’re there, don’t forget to check out the Hughes & Kettner range, including our brand new game changer – the details of which will be released to the world right here on Thursday the 22nd at 9am California time.